You have the option to include the components for English (including World Literature and Composition) and Bible (Issues in World History) for high school. Complete the entire course to receive one credit in world history, one credit in English, and one credit in Bible. Or use only the World History part of the course. 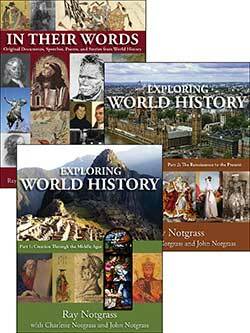 Included in the Notgrass Exploring World History Set is one of each of the following items. This world history course is written with a Christian perspective. There are 30 weekly units with 150 daily lessons. If you complete the entire course, you will receive one credit in World History, one credit in English, and one credit in Bible. You need to purchase the Exploring World History Set. If you want tests, then purchase the Exploring World History Quiz and Exam Book And Answer Key. If you choose to do only the world history portion of the course, then do not purchase the books for world literature. In the student text, the assignments for Bible, Grammar, and Reading are listed at the end of each lesson. Skip the Bible activities if you are not doing the Bible credit. Skip the Grammar activities if you are not pursuing the English credit. There are two types of reading assignments though. Read the assignments from “In Their Words.” They are part of the world history credit. Skip the reading assignments for the literature credit if you not doing the English credit. These additional books are required for the World Literature portion of the course. If you are using another literature course that allows you to choose book, these would be excellent choices. You can download and print these PDF files for use within your family. The Notgrass Exploring World History Part 1 Text is used in the first semester. 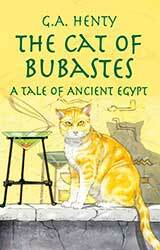 History from Creation through the Middle Ages is covered. The Notgrass Exploring World History Part 2 Text is used in the second semester. History from the Renaissance to the present is surveyed. 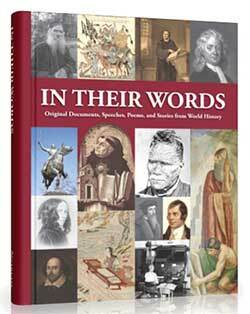 The Notgrass Exploring World History In Their Words is a collection of original documents, speeches, poems, and stories from different periods in world history. For those of you who have additional students, you can purchase the Quiz and Exam Book separately. The Exploring World History Answer Key is available as a free download at the publisher’s website. This is used in Semester 1 Literature. In The Art of War, Sun Tzu covers “principles of strategy, tactics, maneuvering, communication, and supplies; the use of terrain, fire, and the seasons of the year; the classification and utilization of spies; and the treatment of soldiers, including captives. Written in 1855, North and South tells of the differences in the agricultural southern England and the industrial north as the background to the story of Margaret Hale, a clergyman’s daughter. Through a crisis of conscience, her father is moved to a city in the north. She learns of the conditions of the poor and struggles with her friendship with a wealthy factory owner who appears to be against the working class. I will add that the BBC made a spectacular television series of this title. It starts a bit slow (I almost fell asleep), but by the second episode, I wanted to stay up all night to finish the other two episodes. It’s that good! Paperback, Unabridged reprint of the 1855 edition. In Cry, the Beloved Country is the story of Sulu pastor Stephen Kumalo and his son, Absalom. It is set against the background of a land and a people driven by racial injustice. The Hiding Place is used in Semester 2 Literature. 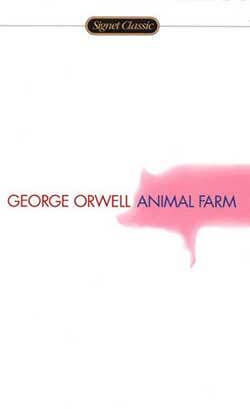 Animal Farm is used in Semester 2 Literature. This is used in Semester 2 Literature.